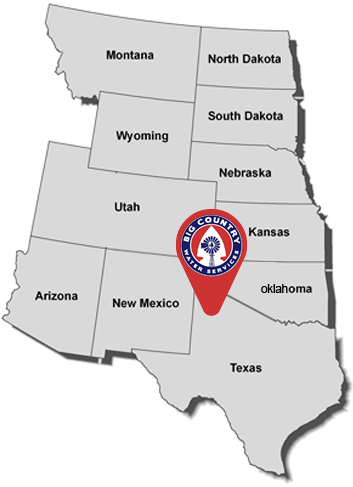 Big Country Water Services is a leading water services company specializing in full-spectrum water well needs for oil & gas, municipal, ranching and agriculture industries. We have been providing water drilling services in the city of Colorado City, Snyder, Abilene, San Angelo, Sweetwater, Big Spring, Garden City, Sterling City and Midland. We provide turnkey solutions to solve the most complex water issues. Our goal is to provide high-quality service, competitive pricing, and exceptional customer service. BCWS was founded by lifelong ranchers and municipal water operators who understand your water needs from the ground up. With decades of experience in the water industry, our team delivers the highest quality work for clients across industries and geographies. Our services encompass all water needs, including water well installation, site construction and part repair/replacement. We offer products from the industry’s top manufacturers and serve as a distributor for over a dozen brands BCWS also provides down-hole cameras for stoppage assessment, logging, and before/after pictures validating the quality of our services.